We have been saying 'people are our greatest asset' for eons. But have we really demonstrated it? When organisations are undergoing change that is volatile, uncertain, complex and ambiguous and we need people to change at a velocity never known before, putting people first is an imperative. If organisations don't do this they will very quickly cease to be relevant in this world of increasing disruption. 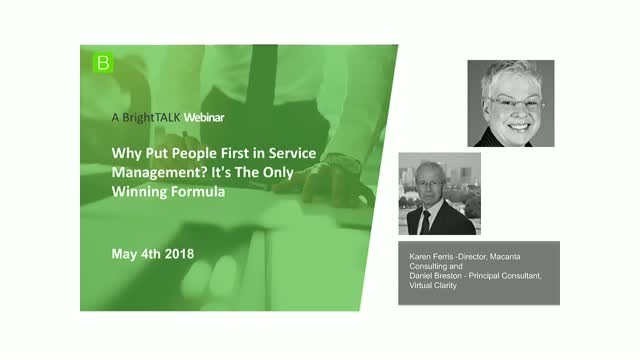 In this webinar, Karen Ferris and Daniel Breston discuss why the people side of change is so important and how the organisational change management landscape has changed.